Are you looking for industrial fencing, but you want a design that is more suited for a chic and trendy lifestyle? 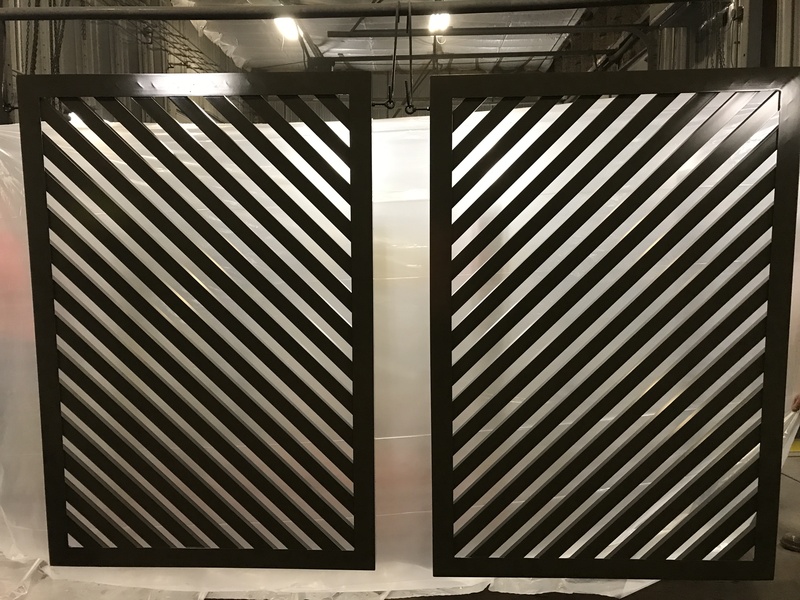 PalmSHIELD’s new Casino diagonal louver panels provide a striking appearance for any modern property. 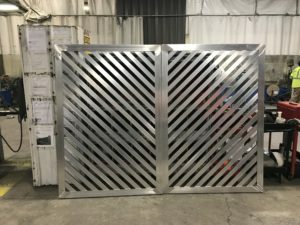 When designers and architects are looking for a structure that could end up being an architectural focal point, Casino diagonal louvered panels provide a unique design and charm. They are perfect for enclosing contemporary properties like outdoor patios and cafés. These panels provide excellent shade coverage that also form interesting shadows. The Casino design is the ideal piece for screening and mechanical equipment enclosures when classic designs don’t provide enough zest. Casino panels’ diagonal louvers form a pattern throughout the system that are certain to get noticed. Panels can be placed in a pleasing, mirrored pattern or parallel to each other. You could even mix the 2 styles to add some extra flair. Placement and pattern are completely up to you and your preference. The infill can consist of PalmSHIELD’s traditional slanted louvers. These louvers don’t allow any light, but still maintain an attractive contemporary design. If you would just like to break things up and allow a little light to come through, you may want to consider their smaller diagonal slats. 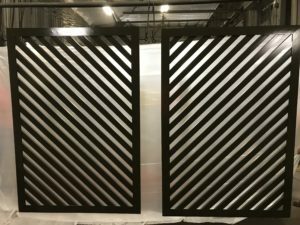 All of PalmSHIELD’s Casino panels utilize their engineered and tested fully framed design. PalmSHIELD uses a proven fully welded frame to support their panels’ infill that is placed in-between four-inch square posts. All of PalmSHIELD’s panels and posts are pre-drilled and shop assembled to ensure correct alignment. 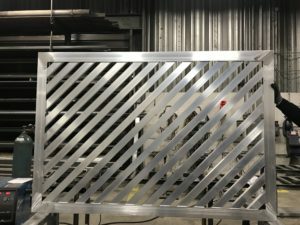 After fabrication and assembly, all PalmSHIELD materials are carefully sweep blasted and powder coated. The preparation of the materials is the most vital part of any coating system. Sweep blasting opens the steel or aluminum up for adhesion and removes any lingering debris. 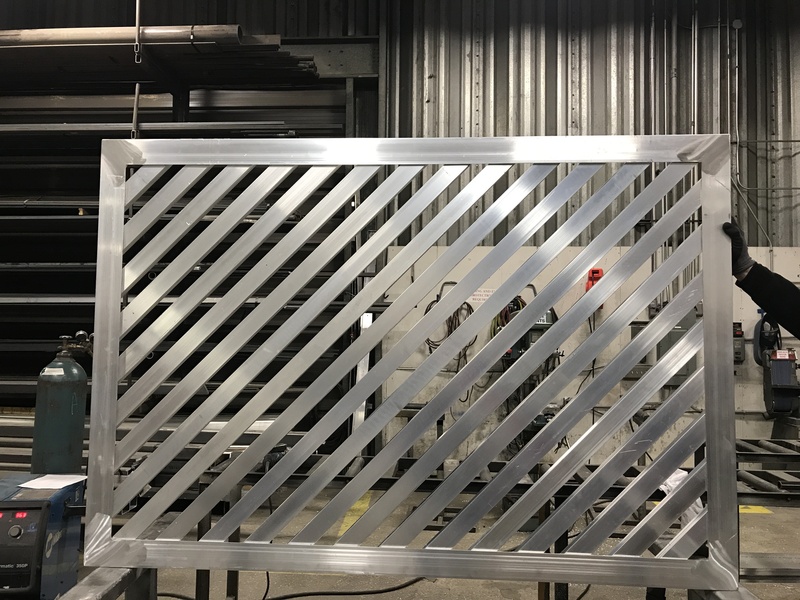 Custom colors are also available for Casino diagonal louvers. PalmSHIELD uses polyester powder coating in accordance with material hardness ASTM 3363 2H. PalmSHIELD is an excellent choice for any architectural or mechanical enclosure, equipment screening, rooftop enclosure or trash enclosure. Visit PalmSHIELD today to get a free quote or to learn more about their products.